Add a shower to your bathroom with ease with the stylish, modern Champlain II 900 x 770mm D Shaped Quadrant Enclosure with Tray and Waste. 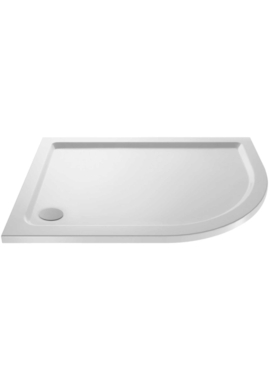 This stunning contemporary shower enclosure is 900 millimeters wide by 770 millimeter deep by 1850 millimeters high and includes a dedicated tray and waste. The enclosure is round in the front and along the sides but is flat at the back to fit against the wall. 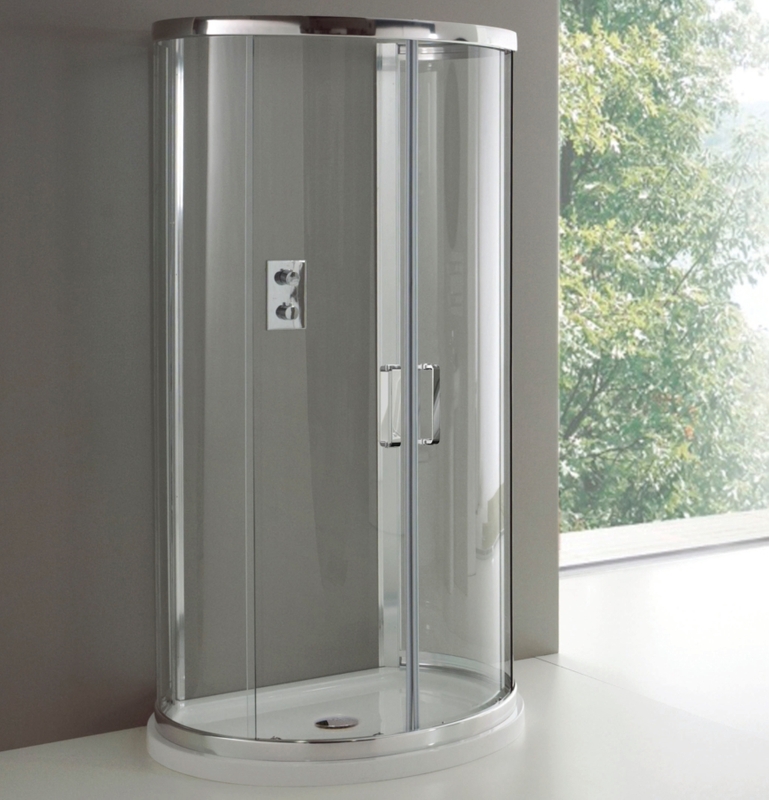 Toughened safety glass that measures 6 millimeters in thickness makes the shower ultra durable as well as safe. Double quick release doors with a magnetic mechanism provide convenient access to the design and are outfitted with chrome finished bar handles. For easy care, the glass is coated with an easy clean glass coating that keeps it as good as new by cutting down on fingerprinting. 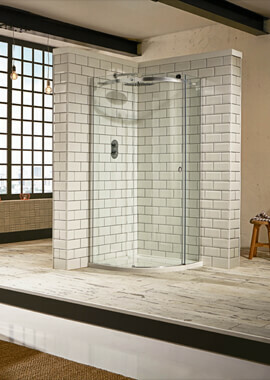 A larger version of this shower is also available. Valve shown in the image is not included. Is it possible to get a measurement for the rear part of the shower where it attaches to the wall? ? We have attached a copy of the instructions which hopefully will give you the information you require.